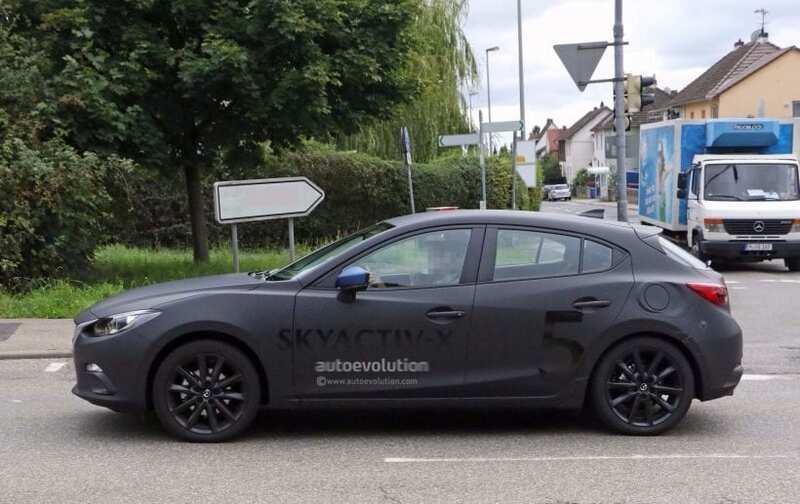 Mazda already started testing its new 3 model. The test mule might seem like an ordinary vehicle, and from the outside, it probably is just that. A slightly updated Mazda 3. But under the hood, this small car hides the next big thing in internal combustion technology. 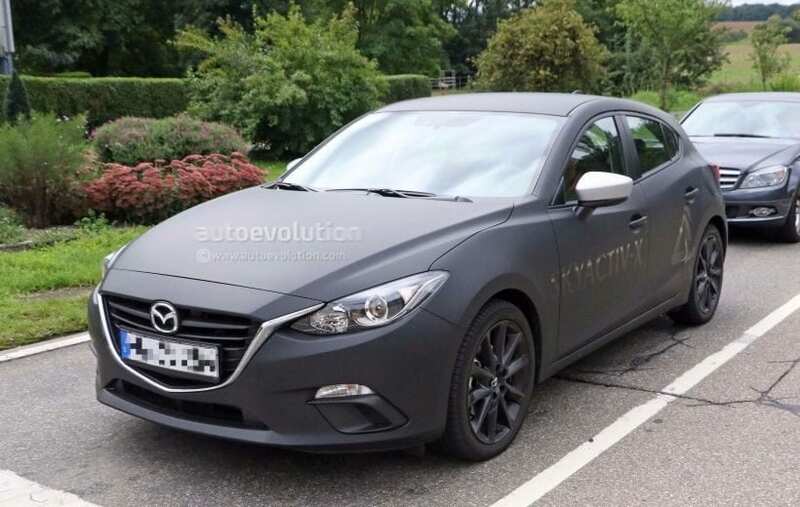 2019 Mazda 3 will arrive on the market riding on a new platform and a quite innovative new engine. The catch is in the fact that the Japanese manufacturer combined diesel and gasoline tech in one powertrain. Now, the new unit is something else, and we could have an entire article dedicated just to it, but here we are going to describe it in short lines. The Skyactive-X used on a 2.0-liter four-cylinder motor on Mazda 3 (it will be used on different power plants with various models) has the ability to use less fuel regardless of the quantity of the air, and to combust this mixture when it gets compressed by the pistons like diesel engines do, rather than to have it ignited by spark plugs like its the case with petrol units. The engine that uses this type of combustion process has improved fuel economy and reduced emission of NOX and carbon. The improvements to what Mazda currently offers on its 3 model will be in the region of 20%. 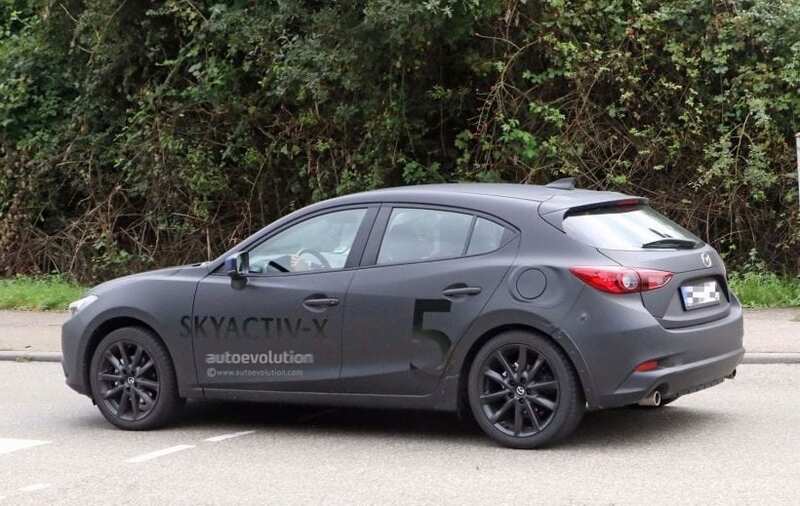 The technology behind Skyactiv-X is groundbreaking, but that doesn’t change anything in the appearance of the engine or the 2019 Mazda 3. The unit powering this car looks and acts like a typical petrol engine. But, with these improvements, it will get a bit of power. The current version of this 2.0-liter unit has 163bhp. The one that will employ new tech will have close to 190bhp. The new platform and new engine will be followed by slight exterior and interior tweaks. The sides of the new vehicle will be accustomed to fit new powertrain, especially around tire sidewalls. On the inside, the seats will be uniquely designed to add to the driving experience. There will undoubtedly be more to its interior, but at this point those pieces of information are unknown. The test mules were stripped of any notable features inside the cabin. 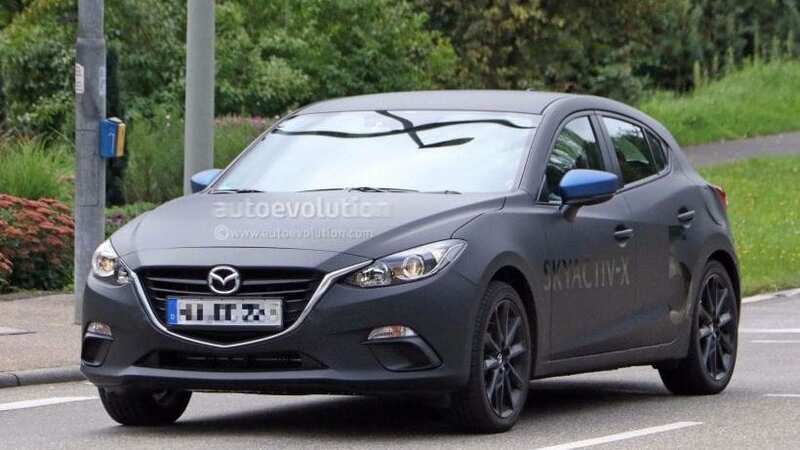 According to various sources, the new 2019 Mazda 3 will be available before the end of 2018, but it will be marketed as 2019 MY. The start of the sales is expected for early months of the next year. With all of the technological upscale that this model brings it will be the hottest commodity on the market. Mazda 3 was one of the best cars under $18,000 in 2017 according to Kelly Blue Book. This year it could easily top that list, but we are not sure that it will be in that region. This new technology might boost the price, and if that happens, it would be wholly justified. At the moment of writing this article, Mazda 3 has MSRP of $19,000. The Sport hatchback is priced slightly above $20,000 mark. The 2018 Mazda3 Grand Touring sedan starts under $25,000, while fully loaded Grand Touring is almost $30,000. All of these prices will jump thanks to Skyactiv-X, but as we said, that’s OK. With the innovative engine that the new 2019 Mazda 3 is going to bring to the world’s markets, we can’t wait to see and spend the money on it. It can’t come fast enough.